true, but not provable | Getting high school students to hear, read and write the beautiful music of Math and Computer Science. Getting high school students to hear, read and write the beautiful music of Math and Computer Science. John Chapin – Academy of Engineering and Technology. Convert some of your paper investigations into a classroom activity. Sliders – I almost never let the students use them – they just start guessing. History – you can even grade it if you want. You can try to create the “Lines activity” from above. How not to bore your math students to tears! I teach Math and Computer Science at Freedom High School. 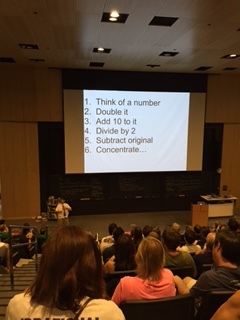 Not to teach you everything about Desmos, but to get you going in the right direction. Making links between the algebra and the visual graph. Really all 8 of the common core math standards. Low floor and a high ceiling. But, they cannot use it on an AP test or an SOL. True, they need to know how to use a calculator. But, this is not an either/or question. Desmos, does not replace the calculator, but it will enhance your lesson. The colors and the ability to make a graph disappear. You can easily graph multiple equations and hide them and then make them reappear. Have them turn in the link instead of printing off the graph for their projects. Go to http://www.desmos.com and create a new account. Pick something you don’t know how to do and try it. Turn your paper investigations into interactive classroom activities. Pick 2 that have already been created that you will use for next year. Tweet to @Desmos the link to your very first activity! Desmos to 3D printout in 30 minutes. Your school does not need to have a 3D printer. 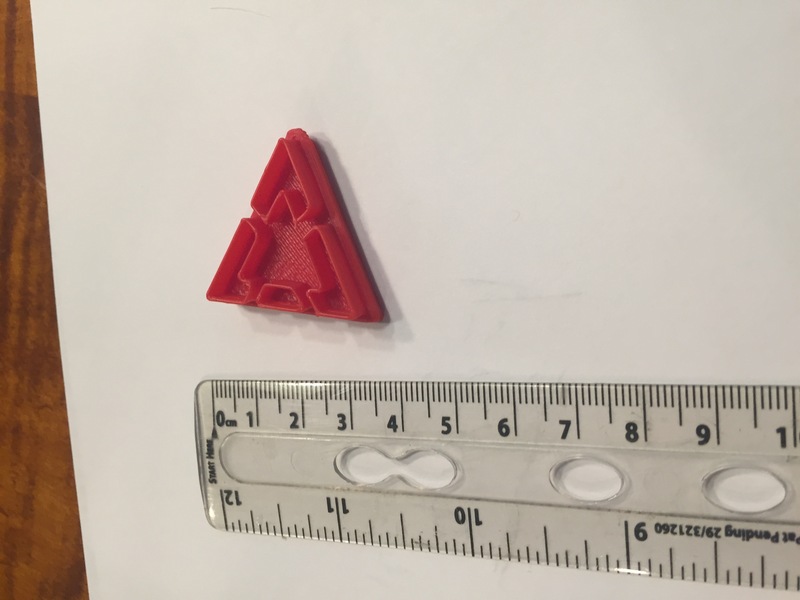 At TMC15 (Twitter Math Camp 2015) Heather Kohn shared her class activity where she had her students take their designs from Desmos.com and they 3D printed them. I thought this was AWESOME! But, she was at a STEM school where the students had training on CAD software that could create the special files and they had plenty of 3D printers. I wanted to do the same but my school only has one 3D printer and the students have NO design experience. 1) Create a design in Desmos. 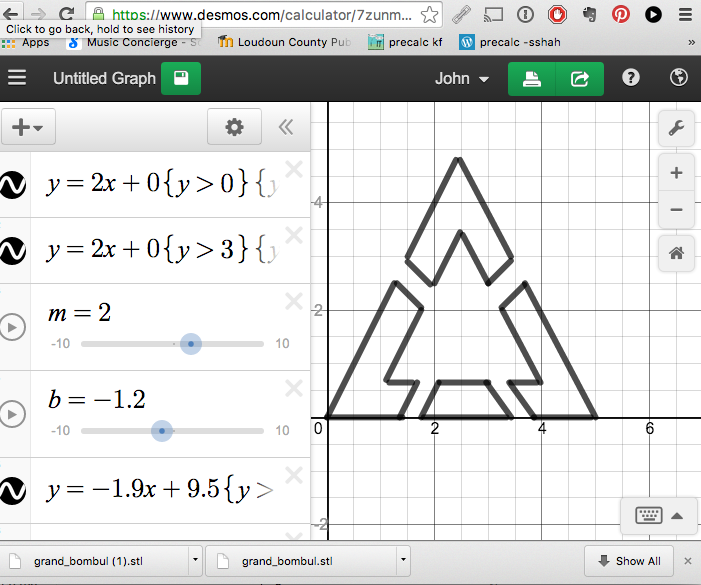 2) Prepare the image in Desmos for a clean screenshot. Click on the wrench in the upper right corner. Un-click the round grid, x-axis and y-axis. If you don’t remove these, they will get converted to part of the 3D design. Click on projector mode to make the design lines thicker. 3) Create a .jpg or .png of the design by taking a screen shot. Take a screen shot of just the design – not the whole screen. 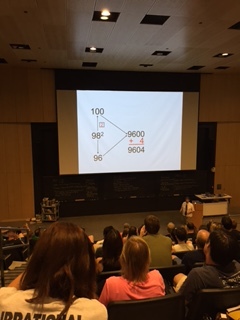 You can actually use any 2D png or jpg design, not just ones from Desmos. Black and white designs/drawings with thick lines work best. 4) Convert the screen shot to .SVG (scalable vector graphics) format. 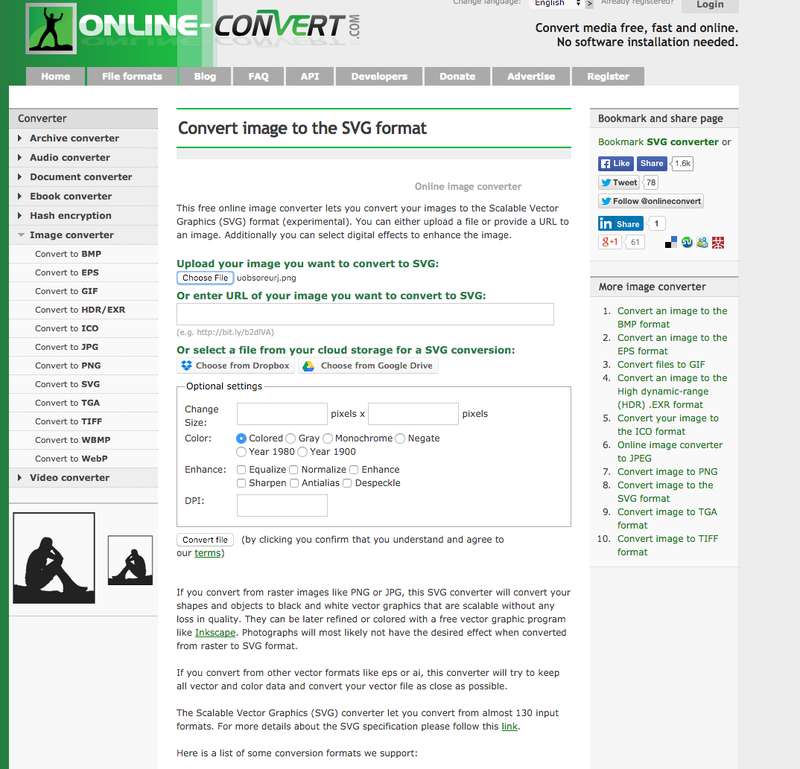 Choose Convert to .SVG under Image Converter. I did not change any of the optional settings. 5) Convert the .SVG to .STL(StereoLithography) file for 3D printing. 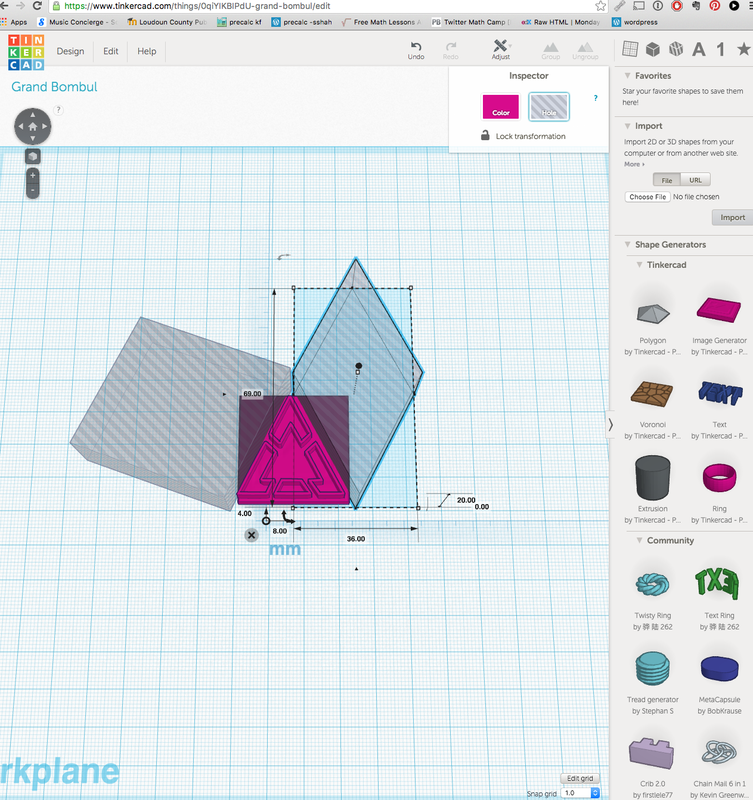 Go to the FREE 3D design website http://www.tinkercad.com. This is a very basic 3D design program. You may have to create an account. Click on “Create a new design”. Set the scale to 10% (right hand side) BEFORE importing. If you let the scale be 100%, it will probably be too big for the workspace (you won’t see anything – it is very frustrating). If you don’t like the size after importing, just hit Ctrl z to undo and import at a different scale. Modify the imported file (if needed). If you want, you can make the imported design taller, wider, add elements, etc. I added a flat bottom to my design (the purple flat object -top right) because the elements were not connected and would have printed that way- see below for final drawing. If all the lines in your design are connected, you do not have to do this. Click on “Download for 3D Printing.” This will save your design as a .stl file that can be used by your 3D printer. You can also upload the .stl file to any 3D printer service. The costs are surprisingly inexpensive. Choose one of the online 3D printer services. Shapeways is a mainline service. 3D Hubs is sort of like the UBER of 3D printing. Here is the end product for my son’s design. .png to .svg conversion – 1 minute. TinkerCad (I am NOT a TinkerCad expert) – 2 minutes for import and basic conversion, 15 minutes for the additional editing. 3D printing – 8 minutes – it is a small design. 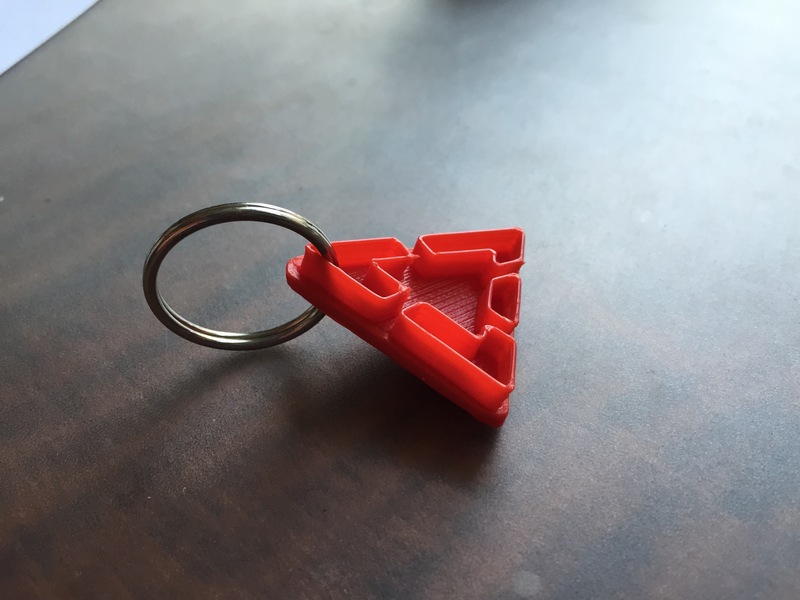 My son just got his license, so he is drilled a hole through his printed design and put it on his keychain. All of this can be done with browsers and little CAD design knowledge and you don’t even need to have a 3D printer. It is true. TMC is like drinking from a fire house. These blogs of TMC15 are really just my own notes of the experience so that I would have a quick reminder of what I found really exciting and also a parking spot for links so I wouldn’t have to go hunt down the links in Twitter. 4. Give high fives as they walk in (everyday) – Why am I giving a high fives? 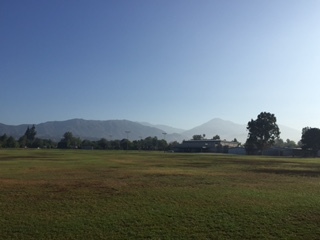 Because you are doing something awesome – walking in my classroom. 5. 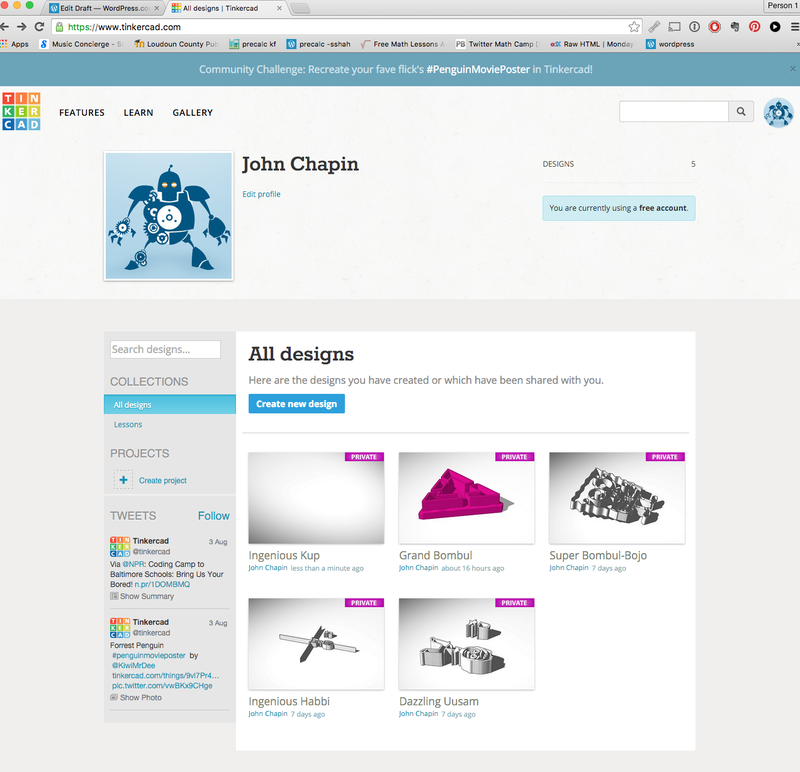 3D Desmos Designs – upload image and have them printed out. I can’t say until this afternoon what the big announcement is, but ask and you shall receive! – Desmos -Make your own Activity builder is coming in August 3rd! Gifsmos.com – create movable gifs from Desmos graphs. – Game of Threes – what is the scoring rule? Awesome…. we did not wake up to be mediocre today!